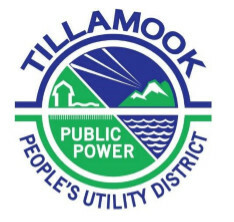 Tillamook PUD’s Board of Directors will convene a Board Workshop on Tuesday, October 17, 2017, at 4:00 p.m. for a Pre-Budget Presentation. Tillamook PUD’s Board of Directors will convene a regular Board meeting on Tuesday, October 17, 2017, at 6:00 p.m. The meetings will both be held in the meeting room of the Nestucca Rural Fire Protection District located at 30710 Highway 101 S., Cloverdale, OR 97112. Action items include: approving any matters that may come before the Board. Those who require special accommodations should contact the PUD at 800-422-2535 or 503-842-2535.